If you’ve made it to this page you’re most likely looking for assistance in preparing for your written CNA certification exam. Fortunately, we’ve got you covered. We have hundreds of free CNA test questions to help you practice in preparation for your CNA exam. Best of all, these resources are completely free and require no registration to use. Take any of our CNA practice tests as often as you’d like until you are confident in your ability to perform on exam day. For those of you in Ohio and New Hampshire, please note that yes, this is also an STNA practice test or LNA practice test. For the purposes of this site we default to using the CNA acronym rather than the State Tested Nursing Assistant and Licensed Nursing Assistant terms which are used in Ohio and New Hampshire. Basic nursing skills and safety: These are the basic care skills you’ll need to display on a day to day basis to be a valuable member of your facility’s healthcare team. Questions in this area will cover taking and recording vital signs, methods of infection control, and assisting patients with everyday living activities. Emergency procedures: Questions on emergency procedures are exactly as you’d expect, understanding a CNA’s role in various medical emergencies while working at a medical facility or a nursing home.. Personal care skills: Understanding personal care skills is critical to being successful as a CNA. You’ll need to have a complete understanding of how to assist patients with tasks such as bathing, oral care, shaving, hair care, and using the toilet. Patient mental health and social service needs: These questions focus on caring for a patient’s mental and emotional health needs. Restorative services: These questions cover items such as assisting clients with mobility and assisting patients with developing independence in their day to day activities. Patient and professional communication: Effective communication is critical as a CNA. Questions in this area will focus on ways to effectively communicate with both patients and team members in a healthcare setting. Legal and ethical concerns: Being a healthcare worker comes with a tremendous amount of responsibility both legally and ethically. Questions here are designed to gauge your understanding of concerns in these areas including abuse, negligence and privacy. Resident’s rights: 1973’s Patient Bill of Rights dictates the questions in this section, so be sure you have a complete understanding of that document and its contents to correctly answer questions in this section. Care of cognitively impaired patients: Questions in this area require aspiring CNAs to know the correct procedures for dealing with patients with minimal to severe cognitive impairments. Our free practice CNA test options are designed to help you pass your certification exam. They are an excellent method for preparing for the written test because they are timed just like the official written exam. Once you’ve completed the questions you can also go back through and review your answers to see which questions you got wrong and need to brush up on. We offer six full practice tests with questions from every test category, or nine category specific tests where you can focus in on one topic area in a CNA’s scope of practice that you want to improve upon. Our tests are an excellent study guide and offer great flexibility in where, when and how you study, as we have a huge range of questions to assist you in your test prep. These tests are easy to access on either a desktop computer or a mobile device. Depending on where you live, and who is providing your CNA exam, the format of your test may differ. There are three major providers of CNA exams: Pearson Vue, Prometric and Headmaster. We’ll walk you through the format of each of the tests below. If you’re taking the Pearson Vue version of the CNA exam, your skills test will include hand washing as well as four other randomly selected skills chosen from the list below. Check out our collection of CNA skills test videos to sharpen up your skills for the Pearson Vue skills test. Skills test overview: Perform five skills within 31-40 minutes. Two required skills include handwashing and indirect care, the other three are chosen at random. On the day of your test, your skills test will include the top two required skills as well as three others from the list below. If you need more practice for the skills test, be sure to check out our collection of skills test videos to prepare for the Prometric skills test. On the day of your test, your skills test will include five randomly selected skills from the list below. For more CNA skills test practice, check out our collection of videos skills test videos to help you prepare for the Headmaster skills test. How to pass the CNA test? One of the most important things you can do to prepare yourself for the CNA exam is to learn all the required skills and then practice, practice, practice! One of the best ways to practice to become a CNA is a free test sample. This site contains a number of free CNA practice exams that will test your knowledge in a number of areas and also provide the exact same number of questions to be answered within the time limit for the written portion of the test, making it an ideal way to prepare yourself to pass the CNA test. Other resources to help you pass the test are available via a simple Google search if you’re interested in trying some other online resources. You can take the exam at an approved training program in your state. We have a massive list of CNA classes from around the country to help you find CNA training programs near you. What score do I need to pass the CNA exam? The score you’ll need to pass will vary by the state where you are getting certified (and the associated testing provider). Most commonly a score of 80% or higher is needed on the written knowledge portion examination, though some states only require 70 or 75%. On the CNA skills test (or practical exam), all critical functions must be completed correctly or the student will fail. Every state will test on hand washing due to its importance in infection control, so be certain you have that skill mastered. Other common elements include recording measurements (pulse, blood pressure, etc.) and indirect care relating to a patient’s comfort and safety. 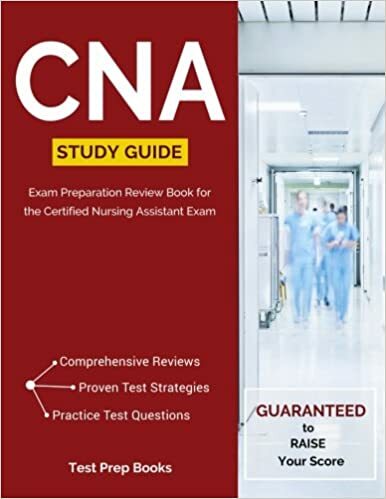 Take our free CNA quizzes and CNA practice tests as often as you’d like to brush up on your skills and improve your final score when taking the Certified Nursing Assistant exam. Read through our guides and practical career advice to build your skills and earn your CNA certification to jumpstart your career!